We Demand More Agile Statistics For 2018! If you’ve spent any time reading about project management lately, it can feel like everyone is talking about integrating Agile workflows across their enterprise. If you’re wondering whether it is something that would work for your team, you certainly aren’t alone. Agile statistics gathered from a variety of studies show project managers and company representatives report a consistent increase in Agile adoption over the last few years. We know that if everyone's doing it, you should at least be curious. Maybe more significantly, those that haven’t integrated Agile into their workflow yet appear to be thinking hard about heading in that direction. Of all these studies, none are older than three years old, all come from verified, peer-reviewed sources, and they all have to do with Agile statistics--not just everyday project management statistics. Here are what the numbers--and the science--have to say. Almost a quarter (23%) also estimated a hybrid approach. 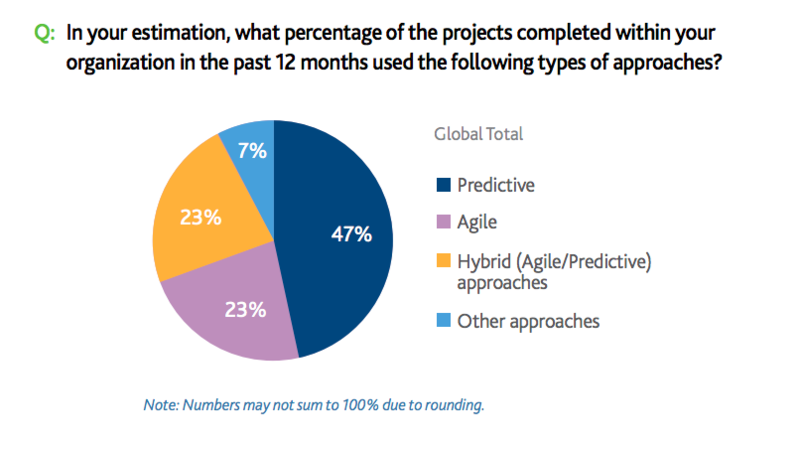 Predictive approaches--or Waterfall-like methods--are still the most popular form of project management, making up almost half of all projects (47%). While the federal government urges the use of Agile techniques in its Digital Services Playbook, project owners are self-reporting their techniques so it isn’t possible to know exactly how Agile is being integrated, or what combination of waterfall and Agile is being utilized. Still, this is a big leap from 2011 when fewer than 10% of federal IT projects were described as “Agile” or “iterative." 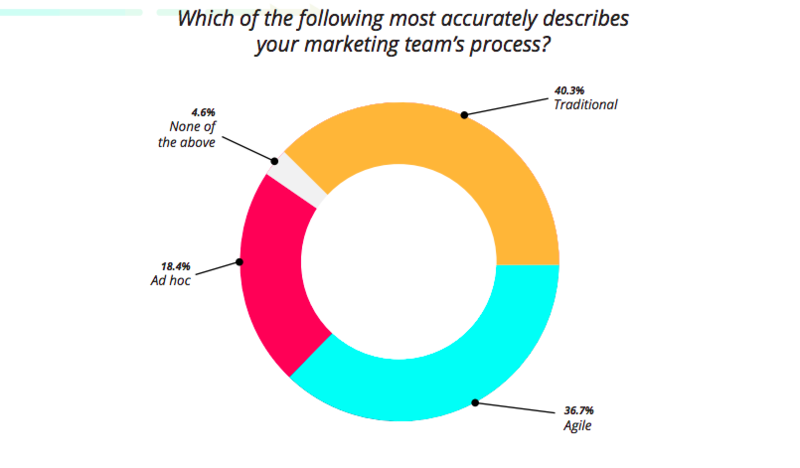 Agile popularity is growing too, with 61% of traditional marketing teams reporting plans to start building Agile into their workflow within the next year. 82% of respondents believe that the ability to incorporate Agile approaches is important to implementing strategic initiatives. An incredible 84% “agree" that "organizational agility" is essential to achieve digital transformation. Almost a third (27%) "consider themselves highly Agile." Waterfall methods sank, making up only 2% of the respondents' companies. Specifically, 20% of respondents described having team members on other projects as "extremely challenging," 29.4% said it was "very challenging," and only 5.3% said, "it was not a challenge at all." It doesn’t look like anyone is going to stop talking about Agile any time soon. Do these numbers reflect the way your team is thinking about Agile and how you see it being adopted out in the world? Are you leaning toward Agile, or fully invested in it already? Let us know in the comments, click to share a tweet, and let us know if there's any cool emerging research we should know about!